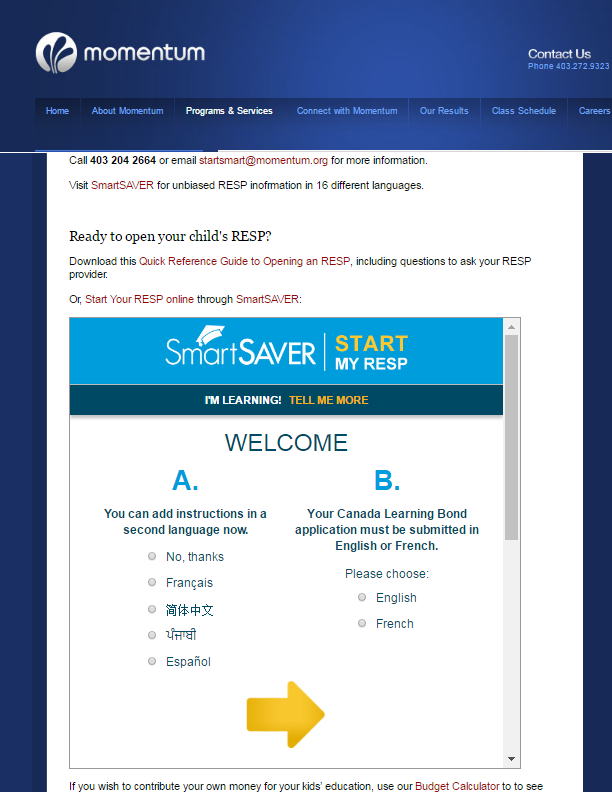 SmartSAVER has made it easy for organizations across Canada to bring the education savings story home. Using the Take-Up Map located on our Community Website, organizations can quickly quantify the Canada Learning Bond opportunity that exists in their location. It’s as simple as typing in the name of your city or town or even a postal code. Within seconds the search result provides a snapshot of the take-up rate in that location. It also makes it easy to compare take-up rates in adjacent locations. Take a look at the snapshot. I searched the take-up rate in Grimsby near Niagara Falls. Take-up there is listed at 33.6%. You see the blue ‘pin’ in the centre of the gold highlight on the map. By zooming out a notch or two, it’s easy to see at a glance the rates in all the communities immediately surrounding Grimsby from Burlington to Niagara on the Lake. In fact, the take-up map shows that the whole region offers a terrific opportunity to community builders who see the value of getting free government grants into the hands of local kids. Using available postal data, I can see that there are almost 700 eligible kids in Grimsby. If each were to get the maximum CLB benefit available that would be $1.4 million in education savings! Once you’ve used the map to establish the local take-up rate, please reach out to me and I can help you get the actual number of CLB-eligible kids in the area. 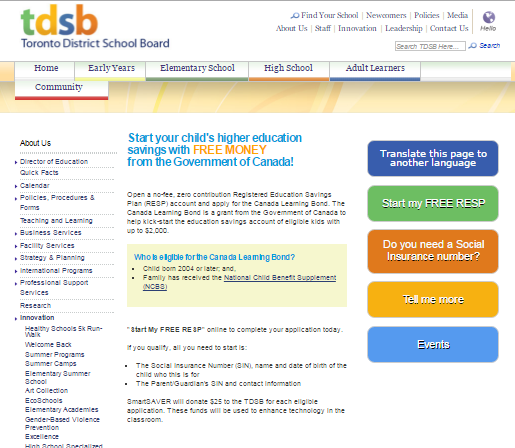 For more information about the Canada Learning Bond opportunity in your area, call 416 966-1418.